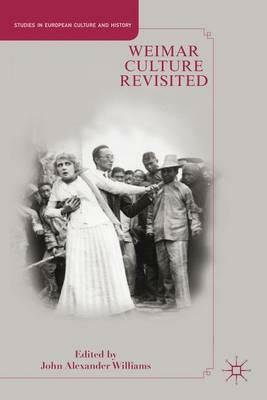 Weimar Culture Revisited is the first book to offer an accessible cross-section of new cultural history approaches to the Weimar Republic. This collection uses an interdisciplinary approach and focuses on the everyday workings of Weimar culture to explain the impact and meaning of culture for German's everyday lives during this fateful era. Illustrations note XXVI, 235 p.
Luke Springman, Bloomsburg College, USA John A. Williams is Professor of History at Bradley University, USA.